At the heart of every business lies its customers — and it’s safe to say that no business can exist without customers. Bearing this in mind, it’s a smart move to make showing gratitude to your customers a priority, and incorporate into your higher-level business strategy. Over time — not just at Thanksgiving! — this strategy helps you delight your customers, and it results in increased brand loyalty. Whichever way you look at it, it’s a win-win! Why is it important to show gratitude to your customers? The numbers don’t lie: a whopping 68% of businesses have lost a customer because this customer feels as though the business is indifferent to them. In this day and age, consumers have more choice than ever, and they’re growing increasingly savvy as well. This means companies can’t just compete based on price and product quality, like they’ve done in the past. Instead, they’ll have to go the distance for their customers, which in turn encourage said customers to build an emotional connection with their brands. Not sure how to engage your customers, and display your gratitude? Check out these Do’s & Don’ts when it comes to customer appreciation! Don’t underestimate the power of a good old-fashioned handwritten note. Now that our world is becoming increasingly digital, a handwritten note is a great way of capturing your customer’s attention, and showing them that you care. 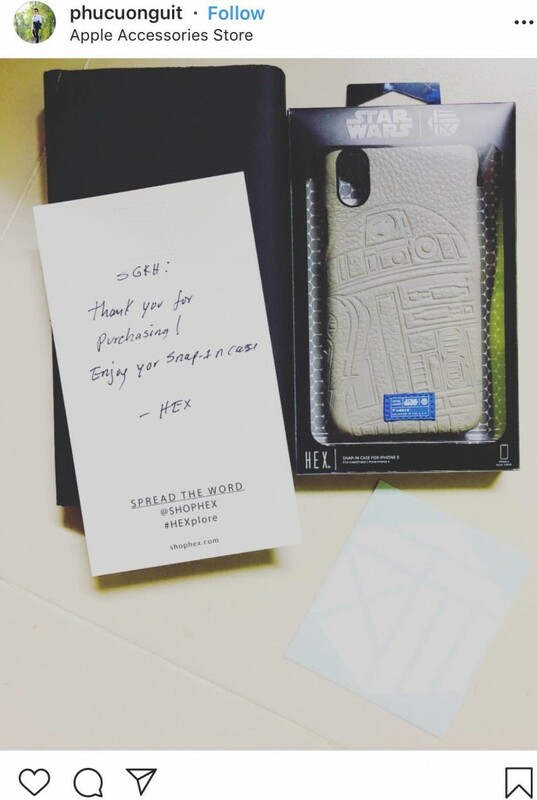 If you want to experiment with showing gratitude using handwritten notes, make sure you take a leaf out of HEX’s book and personalize the note with your customer’s name and the item that they’ve purchased. Another best practice is to include your social media handle and hashtags (like how HEX has done! ), so that your customer can find you on social media and tag you accordingly. Handwritten notes aside, plenty of companies also include unexpected freebies in their customers’ packages. 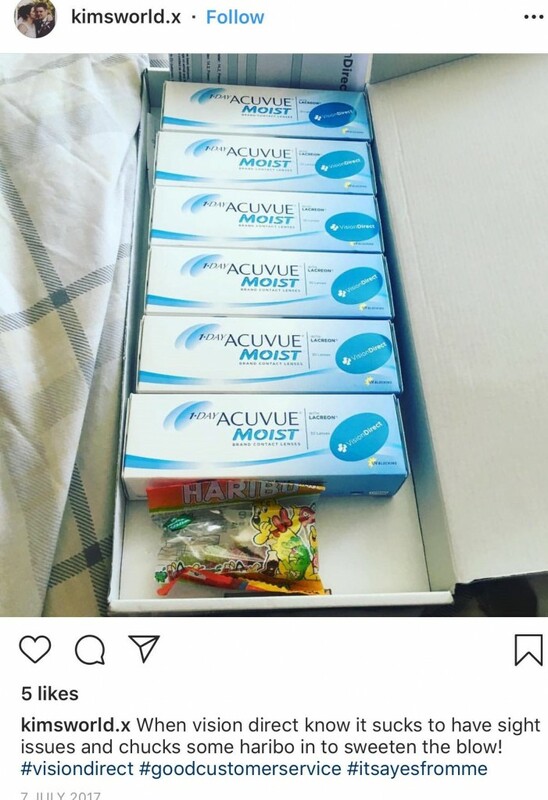 Contact lens retailer VisionDirect is one of the companies that uses this strategy; they include a small package of Haribo candies whenever they send out parcels to their customers. Again, consumers of VisionDirect are pleasantly surprised by this small gesture, with many of them taking to social media to post about the company. Lastly, you can also show gratitude to your customers by being accommodating and flexible in your policies. Pet eCommerce store Chewy.com is a perfect example — while it’s pretty much understood that coupon codes have to be applied at the point of purchase, the company made an exception for their customer, Julia, who contacted them saying that she had made an order, but forgot to apply her coupon code to said order. As you can see, Chewy wowed Julia with their amazing customer service. In doing so, they’ve won themselves not just a loyal customer, but a brand advocate! It’s tempting to create a promo code or run a sale for your customer and call this your way of “giving back”, but unless you go into detail about why your campaign is special or what exactly you’re showing gratitude for, this can come across as disingenuous. At the end of the day, your consumers might simply assume that you’re just doing it to generate more revenue and profit, so we’d steer away from this particular strategy if we were you! 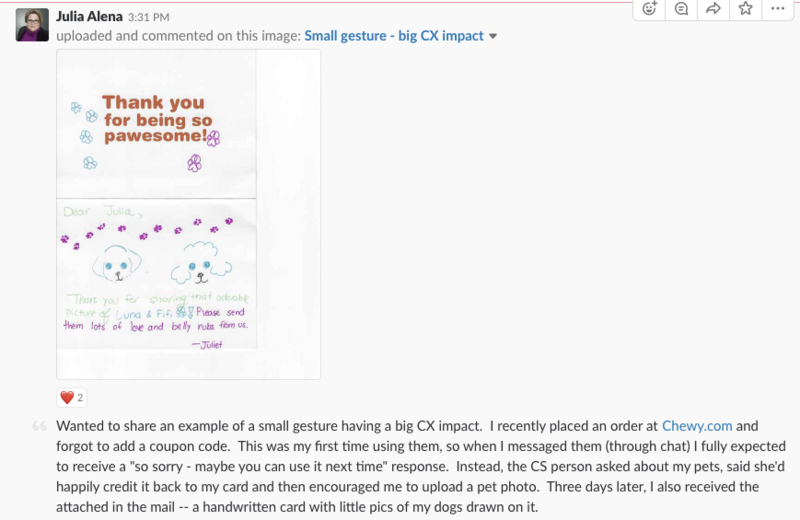 If you’re coming up with an initiative to show gratitude to your customers, have it do just that. Don’t try and achieve multiple aims at once (read: try and have this same campaign drum up additional sales or publicity for your business). For instance, say you’d like to give back to your customers on your 5th year anniversary, and you want to do this by offering a giveaway. Go ahead and run your giveaway, without specifying that your consumers need to Share your post in order to be eligible. If you add multiple rules and stipulations, your campaign is essentially transactional — and your consumers won’t feel as though you’re showing your gratitude to them. Enjoyed this article on showing gratitude to your customers? Watch out for our upcoming article on doing the same for your employees!